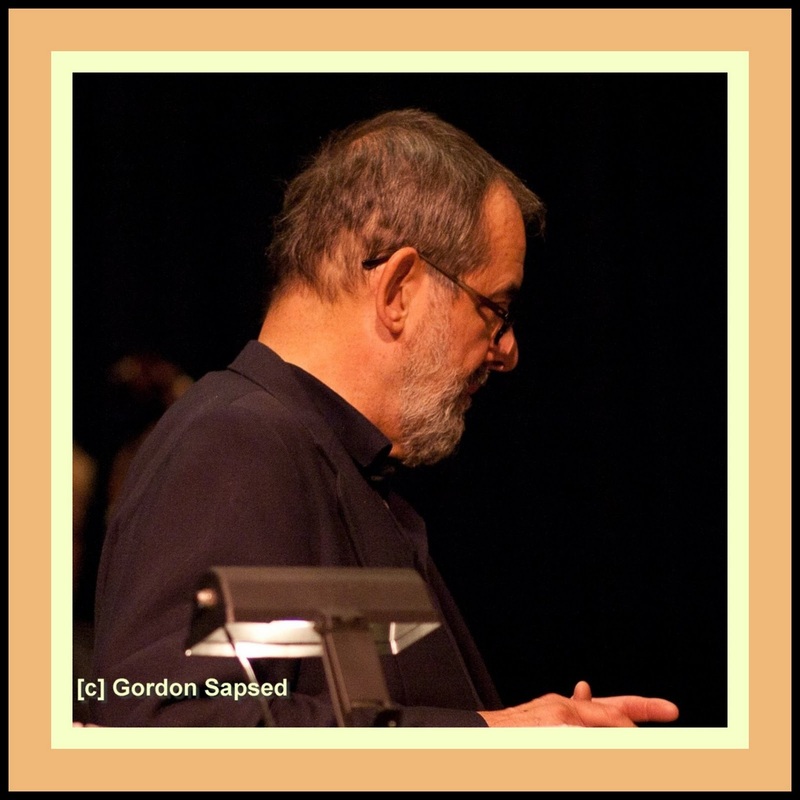 The editorial staff at JazzProfiles would like to thank its readers for their continuing patronage and to wish them all happiness, health and peace in 2011. 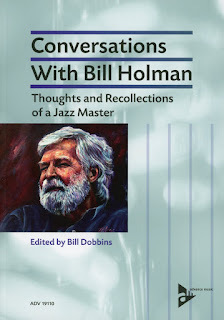 "With his knowledge of history, musical and otherwise, Billy quietly rejects the image of the early Jazzman as an uneducated autodidact, creating the music out of thin air and natural instinct - which he calls with a wry smile the 'noble savage' theory of Jazz genesis." 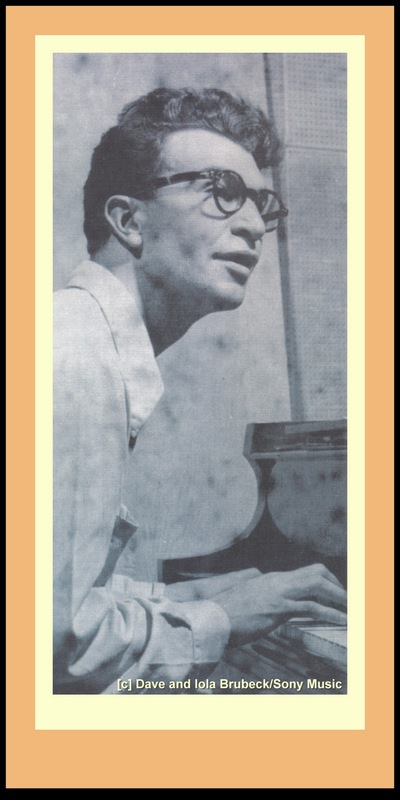 "... Billy Taylor's talents as a piano player should be recognized more than they are. He played with everyone from Stuff Smith to Charlie Parker on 52nd Street.... Taylor's affinities are essentially bop, but his sensibility is akin to Teddy Wilson's: cultivated, gentlemanly, his improvisations take a leisurely route through his surroundings, alighting only on points which are germane to the setting, but managing to suggest a complete grasp of the material and the task at hand." "Pianist-composer-spokesman-author-educator Billy Taylor has done as much as anyone in Jazz history to promulgate an awareness, understanding and appreciation of Jazz to large audiences. ... Because of his public persona, his brilliant piano playing has sometimes been under-appreciated. ... 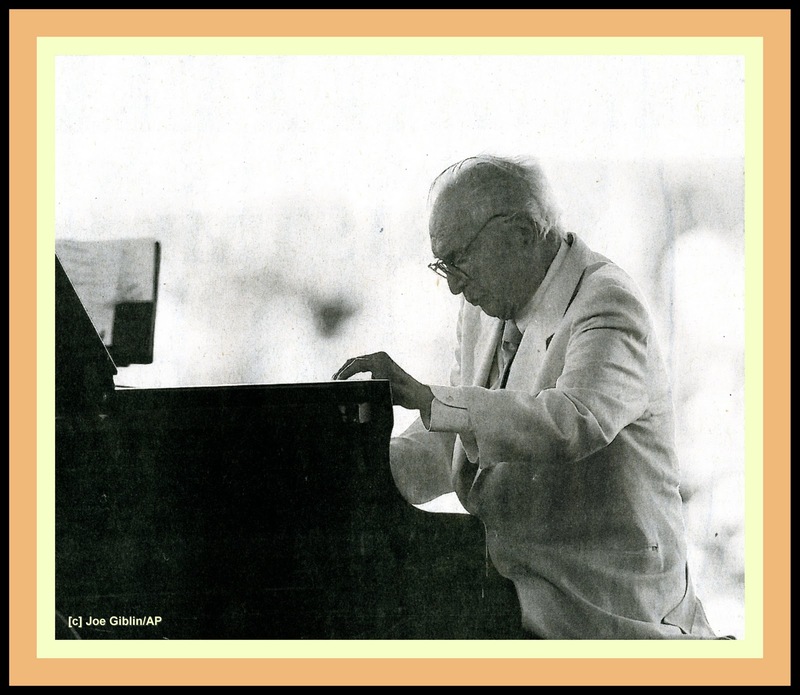 The influence of his mentor, Art Tatum, is a prominent feature of his playing." In the following tribute to him, Billy is joined by Gerry Mulligan on baritone saxophone, Chip Jackson on bass and Carl Allen on drums as they perform Laura by David Raksin and Johnny Mercer. In our earlier feature on Horace which you can locate here, the editorial staff at JazzProfiles commented: "Put directly, I find the music of Horace Silver irresistible. When I listen to it, I feel happy, joyous and free." Swingin' the Samba, as Horace points out, is "a legitimate samba all the way through, on a minor theme. I was particularly happy with the way this came out and hope something happens with it. The melody is very simple and it swings nicely, I think, with good solos. We have a little eight-bar thing going with the drums that's used before and after the opening theme and again after the solos. This may seem a little tricky to follow at first, because the release, between the two 16-bar passages, is just six bars long; so the chorus runs 16-6-16." See how you feel about Horace's music after viewing the following video tribute to him. 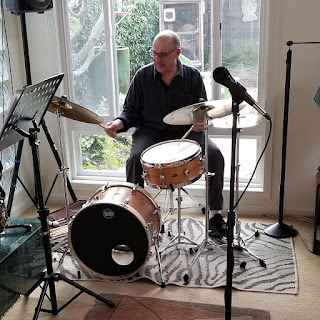 Arranging for big bands is something that he has been doing for over 50 years, and yet, Mike’s completely unassuming when he talks about it as though there is nothing special about what he does. An excellent example of how Mike re-works a standard in this manner to give it an entire different feeling is his use of a medium bossa nova rhythm for his chart on the Harold Arlen, Johnny Mercer standard – Blues in the Night. And then there are the voicings within sections for as Mike said: "Range is everything. Knowing how an instrument sounds in a certain range means blending or sticking out. Sometimes I push the limit but mostly I like to use the fat part of the instrument." Mike said: " I just constructed the melody part right off the record with the tenor on top of the alto only I used 2 tenors and 2 altos. 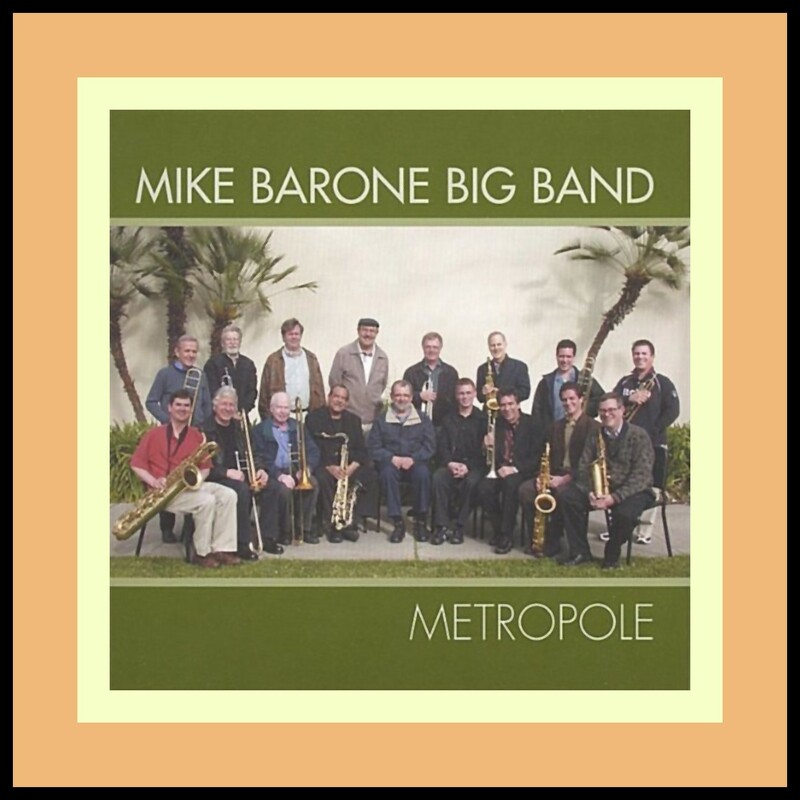 The powerful pulse of the original performance is maintained throughout but Mike elaborations as a vehicle for tenor sax soloist Ernie Watts and Vince Trombetta are astounding – he’s just all over this tune. - a simultaneous solo involving the two tenor saxophones begins at 2:21 Minutes while the band “lays out” [does not play]; when the band comes back in behind them at the bridge, Mike has them playing “stop time"
- a 3-chord phrase from 4:14 – 4:19 minutes launches each tenor into a cadenza [a point at which the band stops playing], leaving the soloist to play in free time [without a strict, regular pulse] before the tenors restate the theme at 5:09 and close out the tune. All of Mike’s CD’s are available on his website including one that was made in performance at Donte’s Jazz club in 1968 which offers a “then and now” some perspective on Mike’s writing. You can also find his CDs at CDBaby and as downloads through both iTunes and Amazon..
For those of you with ready access to the greater Los Angeles area, Mike’s big band will be performing as part of the Sunday Jazz Brunch series on January 16, 2011 from 11:00 AM to 3:00 PM at The Lighthouse Café which is located at 30 Pier Avenue, Hermosa Beach, CA 90254,  376-9833. 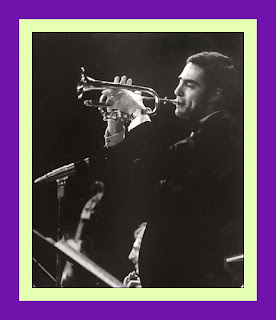 After stints with the Horace Silver Quintet, the Mel Lewis big band and the Toshiko Akiyoshi Jazz Orchestra, Peer Pressure was the first album that trumpeter Brian recorded under his own name. On it, he is ably assisted by tenor saxophonist Ralph Moore, his front-line mate with Horace’s quintet, and alto saxophonist Jim Snidero, also a member of Toshiko’s big band. 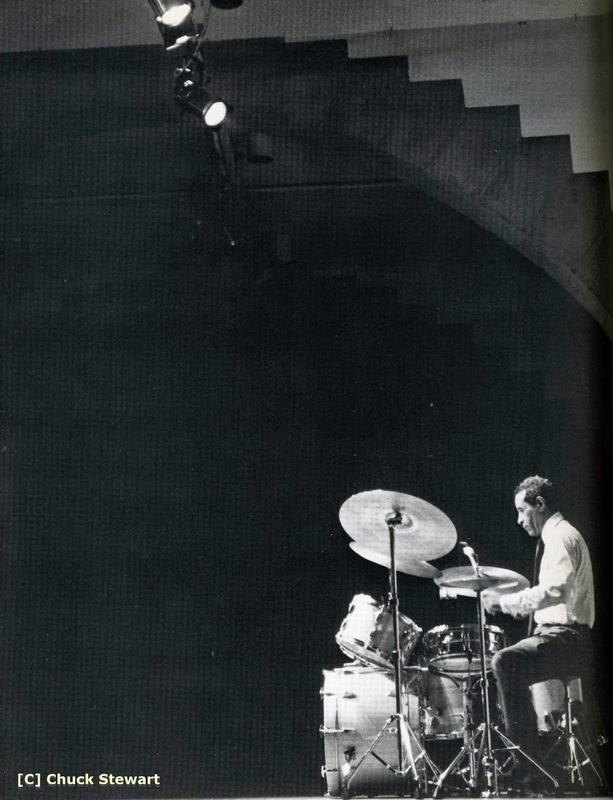 The cookin’ rhythm section is made-up of Kirk Lightsey on piano, Jay Anderson on bass and Victor Lewis on drums who was to spend most of the decade of the 1980s as Stan Getz’s drummer. Here’s a sampling of the group in action on the title tune – Peer Pressure - which forms the sound track for this video tribute to Brian. In evidence throughout the seven tracks on this album are the general high standards which Harrison uses to characterize the players on today’s Jazz scene. A great deal of thought and care has gone into this recording from the standpoint of the selection of tunes and their sequence, the seeking out of Rudy van Gelder to engineer the recording in his inimitable style which makes the listener feel enveloped by the sound of the music, and especially, the high quality that went into the crafting of the solos. 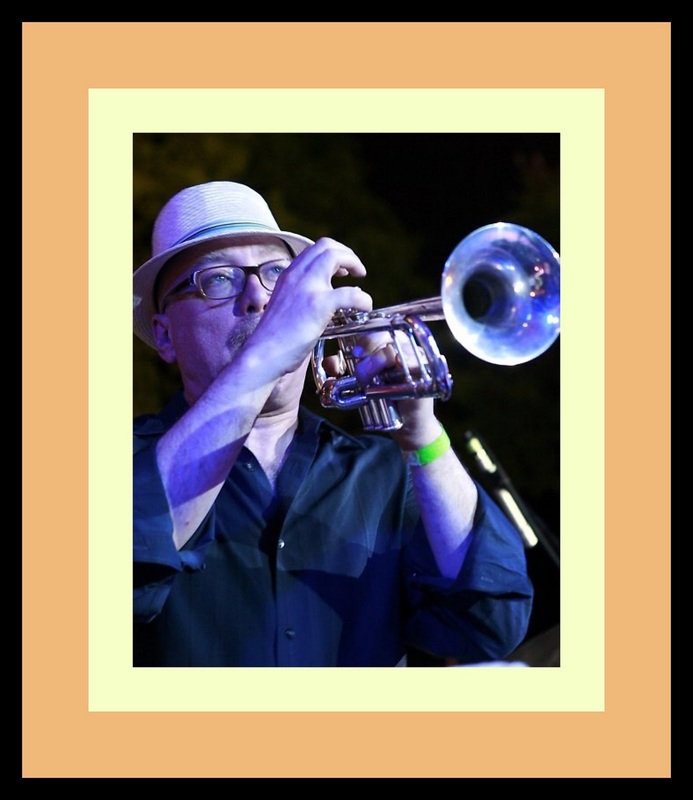 All of these qualities are discernible in the opening track of the CD; the rarely heard Thomasville, a looping blues by the trumpeter Tommy Turrentine that gives everyone a chance to get loose at a relaxed tempo that includes all three horn players trading four’s with Victor before Victor takes his own 12-bar solo. This is followed by Park Avenue Petite another rarely heard tune, although this one is by Benny Golson one of modern Jazz’s prolific composers, and it becomes a beautifully played ballad feature for Lynch. Sandwiched in between Peer Pressure and Change of Plan, two originals by Lynch, is a superb version of Horace Silver’s The Outlaw. This composition is vintage Horace with its twists and turns containing all sorts of surprises due to its unusual structural form. Like Ecaroh, it employs both 4/4 straight-ahead and Latin-inflected rhythmic passages, but The Outlaw does so within an asymmetric construction that employs two sections of thirteen  bars divided into seven  measures of straight-ahead 4/4 and six  of Latin rhythms, a ten  bar 4/4 section which acts as a bridge followed by a sixteen  bar Latin vamp [or Latin pedal] with a two  break that leads into the next solo. It’s a masterpiece whose seemingly disparate parts generate a powerful “tension and release” effect that will leave you wanting to listen to this sprightly bit of musical magic over and over again. We’ve used it as the audio track to the following video tribute to Art Farmer, one of Brian’s trumpet idols. Rounding out this compilation is ‘Nother Never, with Lynch and Snidero alternating playing in unison and harmony on the always-stimulating chord changes of Harry Warren and Mack Gordon’s There Will Never Be Another You and a beautifully rendered version of Cole Porter’s I Concentrate on You which finds Brian Lynch in the solo spotlight. While we all miss the great musicians who created modern Jazz, the music on this recording is an example that their legacy of excellence in musicianship, creativity and improvisation lives on and that the music is in good hands. Treat yourself – these guys can PLAY! 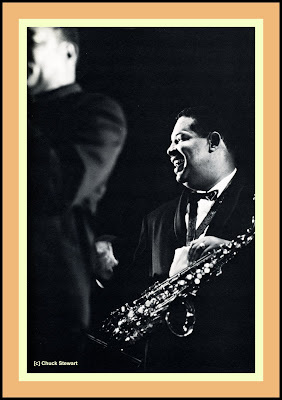 One of the great joys of hearing the late Julian “Cannonball” Adderley’s group in person or in performance on record was listening to the cordial and convivial way Cannonball had with his audiences. He was a man who radiated joy and warmth and these qualities shined through whether he was talking about his music in a general way or giving details about a tune the band just played or was going to play. Sometimes Cannonball could simply introduce the members of his band and make you feel as though you had been a part of his family for years. On the following video tribute, the introductions by Cannonball are of the members of his regrettably, short-lived sextet with Cannon on alto saxophone, brother Nat on cornet, the inimitable Yusef Lateef on tenor saxophone [oboe and flute], Joe Zawinul on piano, Sam Jones on bass and Louis Hayes on drums. The audio track, variously entitled Cannon’s Theme or Unit 7, was written by bassist Sam Jones and is from the group’s Live in New York: The Cannonball Adderley Sextet which was recorded in 1962 in performance at The Village Vanguard. Beginning around 1:30 minutes, checkout “Brother” Yusef Lateef’s “bar-walking” tenor saxophone solo. 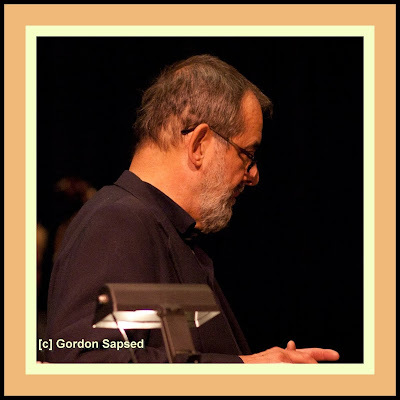 Every now and then, the editorial staff at JazzProfiles gets a hankering for some vocal Jazz. On a recent trip, we heard this Johnny Hartman performance of Irving Berlin's Blues Skies on the car radio and liked it so much that we thought we'd use it as the audio track to the following video tribute to Johnny. The arrangement is by Ernie Wilkens. Lucky Thompson takes the tenor solo, Howard McGhee does the honors on trumpet and Tony Ortega plays the alto solo. Soprano and alto saxophonist Stefano di Battista and I have three primary things in common:  February 14,  Rome and Paris and  a passion for passionate Jazz. We were both born on February 14th although I am – ahem – a few years older than him. Stefano was born in Rome; my father was born there and it along with Paris are our favorite European cities. The last common interest is self-explanatory, but is really the point of the whole piece. 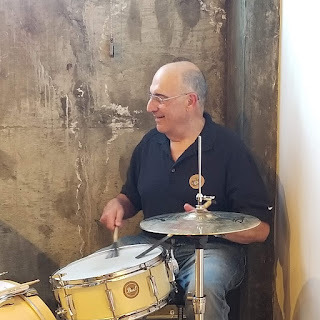 I know that it seems hard to believe that an Italian and an American of Italian descent would be passionate about Jazz, but Stefano can’t play Jazz other than passionately and I have no interest in Jazz that doesn’t “speak to me” – passionately. [Actually, we have a fourth thing in common: we both have the same first name]. Essentially, this piece on Stefano has two, main features [it seems that I’ve suddenly discovered enumeration]. In the initial video, Stefano performs Tadd Dameron's "Hot House" with Flavio Boltro [tp], Rosario Bonaccorso [b], and drummer Herlin Riley. Can you tell that drummer Herlin Riley is from New Orleans, home of the syncopated, marching street bands? And if you've ever wondered about the sound of the Jazz expression - "a two-beat-feel" - you're listening to it. The other, two videos are interspersed in the following overview of di Battista’s career and approach to Jazz which is largely drawn from the annotations on his My Space profile. “Italian saxophonist Stefano Di Battista could spill a can of paint onto a canvas, only to find he has made a beautiful picture. In other words, every breath that passes through his horn is attractive. His latest project Round About Roma creates an imaginary cinema score, with strings by the Symphonic Orchestra of Paris, that could have been a 1960's romantic film centered in Rome. Together with composer/arranger Vince Mendoza, Di Battista weaves jazz elements into these well-tempered tracks. Mendoza has created orchestral arrangements for jazz and pop music from John Scofield to Bjork. His most accomplished work being two discs for Joni Mitchell, including last years Travelogue with his string arrangements for Mitchell's re-interpretation of her beloved hits. Two saxophonists, Art Pepper and Cannonball Adderley, have influenced Stefano di Battista's career. Both of these players incorporate an emotional approach in their playing. Where Pepper would reach for a clarinet, di Battista favors a soprano saxophone. His tone is more luscious than his two heroes, as is evident throughout this disc. Where the prior self-titled Stefano Di Battista (2000) with Elvin Jones and pianist Jackie Terrasson threatened to speak bebop throughout, this albums concept is pure amour. This isn't as much a jazz quartet with string accents as it is a small orchestra that includes piano/bass/drums/saxophone. Mendoza and Di Battista refrain from overlapping music, they intertwine and prudently have either the quartet or the strings drop out for an agreeable mix. It is a stretch to call this jazz. Let's call it beautiful cinema orchestrations in the tradition of Nina Rota. If there is such a category, this is a near perfect album. 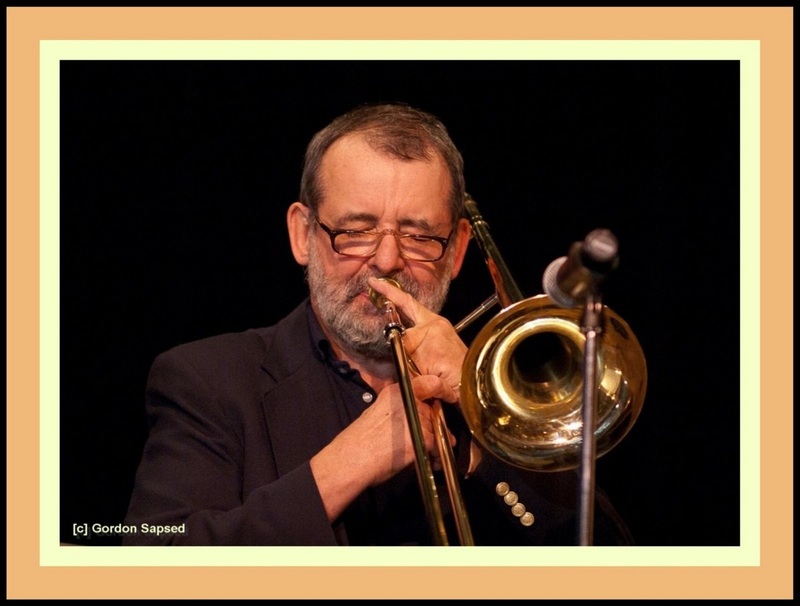 For many jazz fans, Stefano Di Battista will always be associated with the city of Paris, where he became a regular performer at The Sunset in the mid-1990s. From there, the alto and soprano saxophonist became a valuable sideman (to the late piano great Michel Petrucciani and later, drummer Elvin Jones) before launching his own solo career. On Round About Roma, his third date for Blue Note, Di Battista keeps the lush romance of the City of Lights alive and well while taking us back to the music of Rome, his beloved birthplace, where his journey on the sax began at age 13. Di Battista is in the company of longtime friends and cohorts throughout the eight beautiful and haunting tracks. He has worked with this particular quartet”pianist Eric Legnini, double bassist Rosario Bonaccorso and drummer Andre Ceccarelli”for almost ten years, and they’re still making magic some 500 gigs later (Legnini appeared on A Prima Vista, and Bonaccorso is on that date and the 2001 self-titled release). Round About Roma was recorded in one nine hour session in Paris, with no overdubs. In 1992, Di Battista played at the Calvi Jazz Festival and was invited by Jean-Pierre Como to move to Paris, where he soon established himself at the city’s premier jazz hotspot, The Sunset. “When I arrived in Paris,” the saxman remembers, “it was as if I’d been born there.” He appeared frequently on the bill with Michel Benit, drummer Stephane Huchard and drummer Aldo Romano. 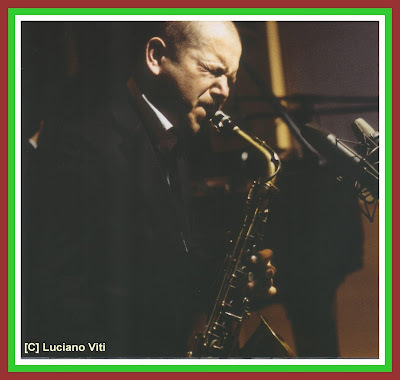 Then came associations with cornetist Nat Adderley, drummers Daniel Humair and Jimmy Cobb, and the late pianist Michel Petrucciani, who asked Di Battista and his trumpeter sidekick Flavio Boltro, to join his new sextet. In 1997, Di Battista released his solo debut Volare on Label Bleu, which was nominated for the Victoires de la Musique, Choc de L’Annee 97 Jazzman. He made the transition from Bleu to Blue (Note) with the recording of A Prima Vista, his well-received 1998 label debut featuring Boltro, Legnini and Bonaccorso. Di Battista’s fruitful association with drummer Elvin Jones, legendary originally for his work with John Coltrane, began with the recording of Di Battista’s well-received self-titled second Blue Note album in 2001. 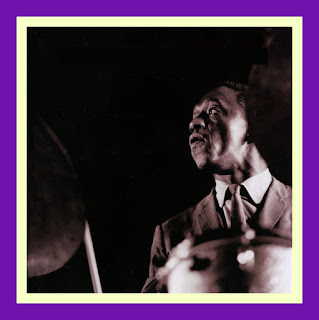 Jones came to Brussels to lay down tracks for “some kid” and wound up taking Di Battista on his own world tours with the Elvin Jones Jazz Machine. Recent research has revealed that Antony and Cleopatra - one of history's most romantic couples - were not the great beauties that Hollywood would have us believe. But the coin, which goes on show on Wednesday at Newcastle University for Valentine's Day, after years lying in a bank, is much less flattering about both famous faces. The 32 BC artifact was in a collection belonging to the Society of Antiquaries of Newcastle upon Tyne, which is being researched in preparation for the opening of the new Great North Museum. Clare Pickersgill, the university's assistant director of archaeological museums, said: "The popular image we have of Cleopatra is that of a beautiful queen who was adored by Roman politicians and generals. The relationship between Mark Antony and Cleopatra has long been romanticized by writers, artists and film-makers. "Shakespeare wrote his tragedy Antony and Cleopatra in 1608, while the Orientalist artists of the 19th century and the modern Hollywood depictions, such as that of Elizabeth Taylor and Richard Burton in the 1963 film, have added to the idea that Cleopatra was a great beauty. Recent research would seem to disagree with this portrayal, however." The university's director of archaeological museums, Lindsay Allason-Jones, said: "The image on the coin is far from being that of Elizabeth Taylor and Richard Burton. "Roman writers tell us that Cleopatra was intelligent and charismatic, and that she had a seductive voice but, tellingly, they do not mention her beauty. The image of Cleopatra as a beautiful seductress is a more recent image." 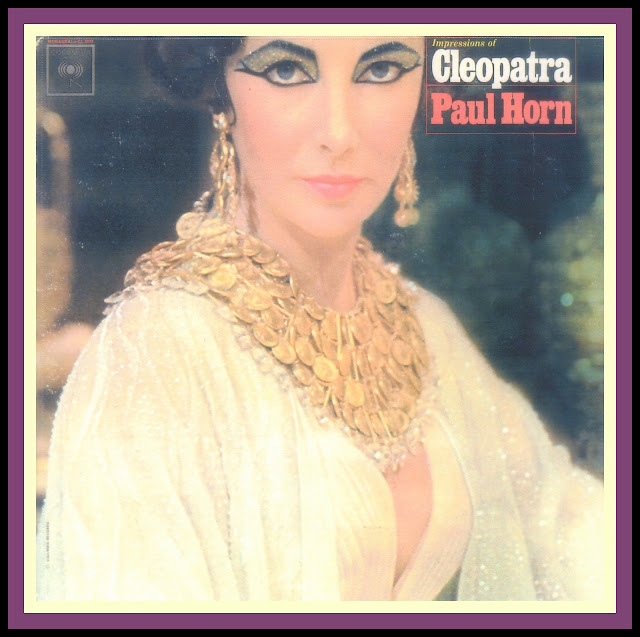 While the editorial staff at JazzProfiles is saddened to learn that Hollywood didn’t get it right, again, we were delighted when producers at Columbia Records commissioned Paul Horn to make a “Jazz Impressions” LP of composer Alex North’s fine score to Cleopatra [he is also the composer of the film score for the movie Spartacus]. In a way, the Paul’s Jazz Impressions of Cleopatra turned out to be a family affair as both of my drum teachers, Victor Feldman and Larry Bunker played piano and percussion, respectively, on the album. In addition to Paul [who plays flute exclusively], Victor and Larry, the LP features the talents of Emil Richards on vibes and Chuck Israels on bass. It doesn’t appear that this recording ever made it to CD. To rectify this omission, the editorial staff at JazzProfiles and the cracker-jack production team at CerraJazzLTD have developed the following video which features the Paul Horn Quintet performing Grant Me an Honorable Way to Die from the Columbia LP Cleopatra [CL 2050] as the audio track. Dave Brubeck at The Blackhawk - "Jam Session"
Jazz musicians were high on my list of childhood heroes, right up there with my Dad who served with General Patton’s 3rd Army in Europe and my Uncles [his brothers] who both served in the Pacific for the duration of World War II with the US Navy and Marines, respectively. And then there’s all of that wonderful music that Dave produced with his various groups over the years which has been a constant source of inspiration and enjoyment. Heck, I even liked the Dave Digs Disney theme album that the quartet made not-too-long after signing with Columbia Records in 1950s. What a life; what a guy! 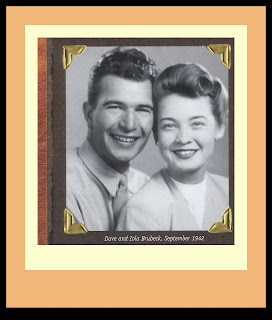 The editorial staff at JazzProfiles thought perhaps that visitors to the site who may have missed the endearing tribute to Dave as he turns 90 which Gene Seymour wrote for the December 5, 2010 “Arts & Books” section of The Los Angeles Times might enjoy having an opportunity to read it. Click the following link for subscription information for the Los Angeles Times. © - Gene Seymour reporting from Wilton, Conn./Los Angeles Times; copyright protected; all rights reserved. “Most people who have never lived in Connecticut imagine that the whole state is exactly like Wilton. It's not, but driving toward the town where Dave Brubeck lives, you understand why this dream never dies, especially in late autumn when every tree seems almost mythic in its chromatic display and every pitch and roll of the rural landscape yields views that can either fill your heart or break it gently. You can easily love this area of the world in the same unfettered way the whole world seems to love Dave Brubeck. Jazz may not occupy the center of the musical universe at the front end of the 21st century, but even people who know little, if anything, about jazz know who Brubeck is. And what they know, they like very much. 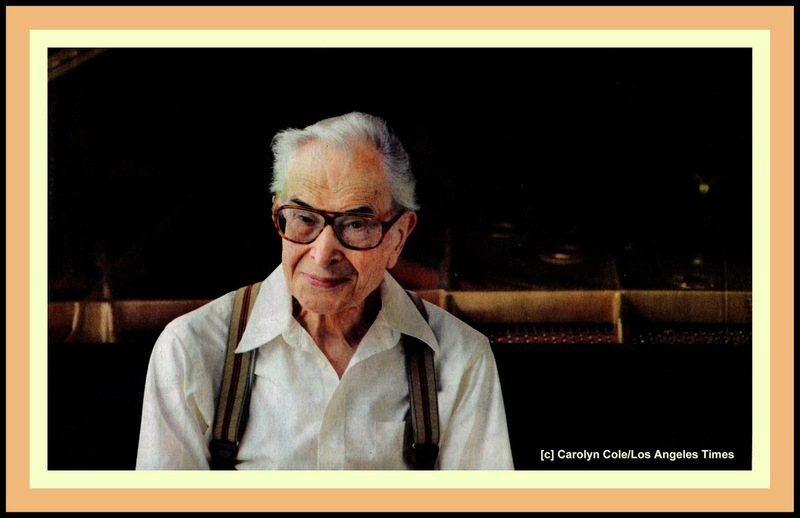 Through more than 60 years of record­ings and performances at colleges, concert halls, festivals and nightclubs all over the world, Brubeck put forth a body of work — as pianist, composer and bandleader — that is as accessible as it is ingenious, as stress-free as it is rhythmically emphatic, as open-hearted as it is wide-ranging. 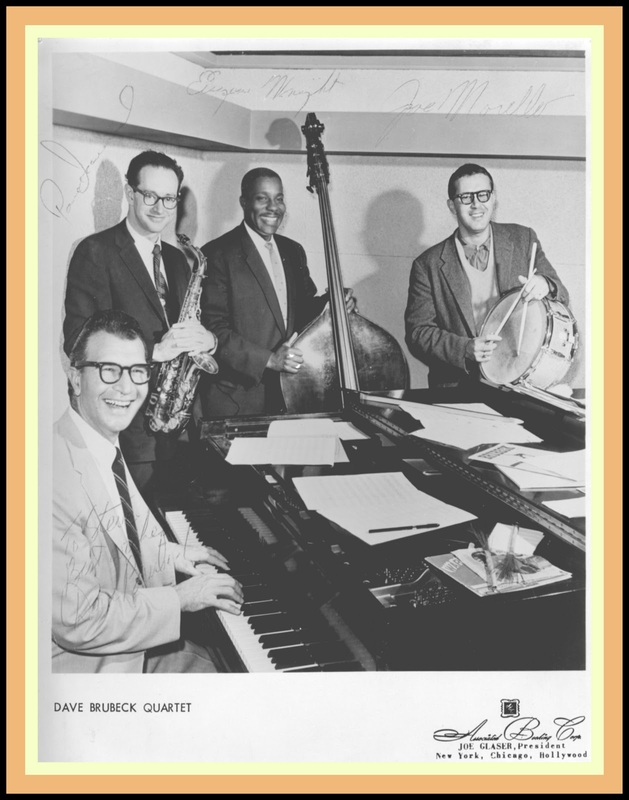 Brubeck turns 90 years old Monday and the occasion will be marked with the premiere on Turner Classic Movies of Bruce Ricker's documentary "Dave Brubeck: In His Own Sweet Way," executive-produced by Clint Eastwood. Columbia Records, which enjoyed a fruitful, hugely profitable relationship with Brubeck from 1954 to 1970, just marked the occasion with the re­lease of a two-disc set, "Leg­acy of a Legend," whose se­lections were supervised by Brubeck. "It was tough," Brubeck says of the procedure, which was supposed to have kept him hospitalized overnight but led to an 18-day stay. "They had to go into muscle instead of skin ... and that caused all the problems." The dark-haired, owlish countenance that was once among the most recogniz­able faces in music has be­come pale, almost snowy white. He speaks and moves more delicately and deliber­ately than he did even a dec­ade ago. But there remains in Brubeck an aura of amia­bility so ' radiant that it seems to compete with the sunlight flooding his living room in ways that are al­most as breathtaking as the country surrounding his house. Instinctively, one looks for the piano. It's one step below the parlor area in a space where anyone else with an instrument, even a trap set, can jam. From this area of the house, an assistant brings out a promotional poster of a now-defunct series of CDs, Columbia Jazz Masters, on which caricatures of these masters crowd together on a tiny stage. In the process of identifying the icons de­picted on the poster—nota­bly Miles Davis, Louis Arm­strong, Count Basic, Duke Ellington, Benny Goodman and Billie Holiday - it strikes the observer that the only one in this picture among the living is the stu­dious, buttoned-down young fellow with horn-rimmed spectacles seated at the piano nearest to Holi­day. So, of course, one asks him first about Lady Day. "I toured with her years ago. She was a wonderful singer, but her health was so bad. She didn't take care of her­self. And her manager wouldn't give her money to stay in a hotel, so she'd sleep in the band bus." It may take Brubeck longer than it used to for him to reach back for a rec­ollection. But when he does, it unravels with vivid detail, whether he's remembering a club date from the 1950s or talking about his childhood in Stockton, where his fa­ther wanted him to go into the family business of cattle-ranching. "I'd always go home from college to work with him on the ranch. And this one summer I said to him, 'You know, I have a job, playing in a club. I would like to do that. You have plenty of cow­boys.' He said, 'Dave, I can't see you leaving this life and playing in a smoky night­club. You could be out in the fresh air. I think you're mak­ing a big mistake.' But I went and it was a big disap­pointment. He never lived to see me make it as a musi­cian. So I don't know if he would have approved in the end." More anecdotes invari­ably turn up in "In His Own Sweet Way," which uses ar­chival footage; vintage in­terviews with Brubeck (in­cluding two with the late Walter Cronkite); testimo­nials from sources as varied as Bill Clinton, George Lu­cas, Bill Cosby and Stanley Crouch; and, of course, many musical interludes on- and off-stage to present as comprehensive a life story of Brubeck as you'll find anywhere. The artistic triumphs are covered, of course: his groundbreaking college concert tours in the early 1950s that shot him to fame; his experiments with time signatures and polytonality. Then there are the personal triumphs, especially his long and happy marriage to his wife, lola,* whom he met while both were attending what is now the University of the Pacific, where the Brubeck Institute of Music is based. He also was a suc­cess at being a father, with four of his sons — Darius (named for his mentor, French composer Darius Milhaud), Matthew, Chris­topher and Daniel — all be­coming renowned musi­cians in their own right. After listening to these and other Columbia tracks recently, jazz critic Gary Giddins said he liked "the best of them as much or more than ever. It's so much the sound of that era. And there is cheerfulness, a love of playing jazz, of inventing stuff that is rare in any pe­riod." Through it all, Brubeck, as the title of the film im­plies, retained a sweetness of temperament that some of his critics found too good to be true. Yet his sense of fair play was genuine. 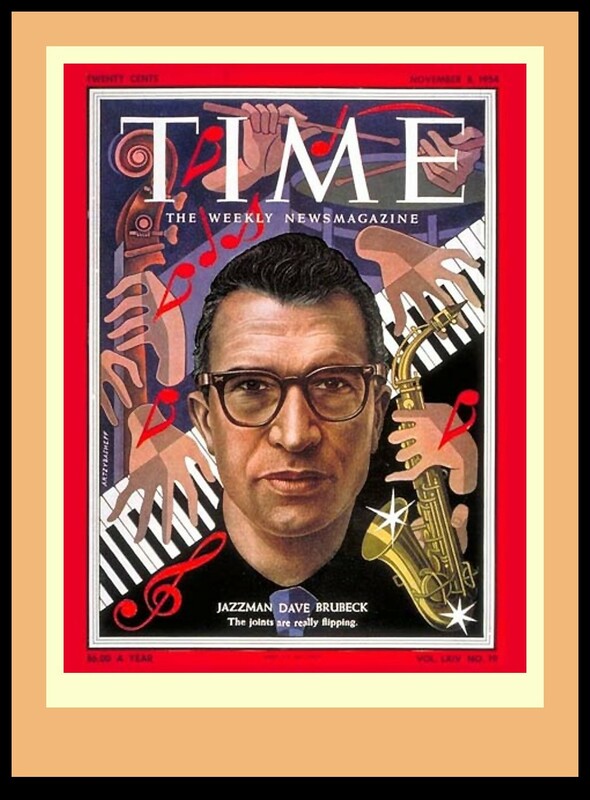 Take, for instance, Brubeck's re­action to being put on the cover of Time magazine in November 1954, following his triumphant series of col­lege concerts. Most people would say, at such a mo­ment, "Wow! I'm on the cov­er of Time!" 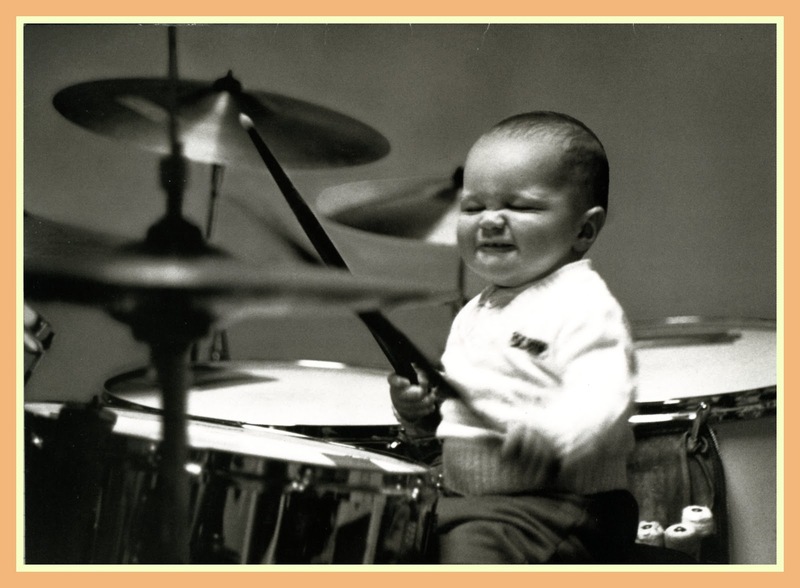 Brubeck's im­mediate reaction was some­thing like: "Gee. How come I'm on the cover of Time magazine before Duke Ellington had the chance?" 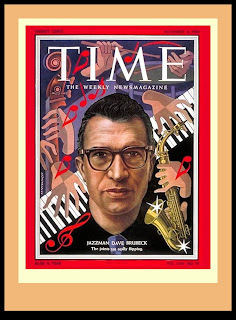 It was Ellington, with whom Brubeck was touring at the time, who first showed Brubeck the Time cover. "Seven in the morn­ing, there's a knock at the door and there's Duke handing me the magazine and saying, 'Dave, you're on the cover.' He was happy for me, but I was just so disap­pointed because it should have been him. They got around to him finally a cou­ple of years later. But ...it just bothered me." 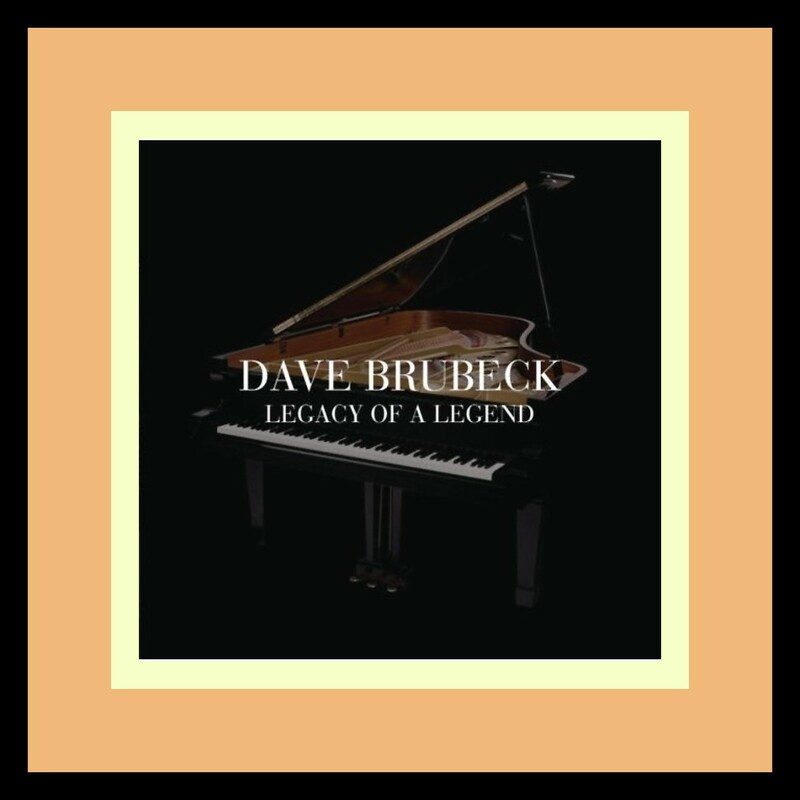 Brubeck paid his own lasting tribute to Ellington with one of his most famous compositions, "The Duke," a solo version of which can be heard on "Legacy of a Legend." 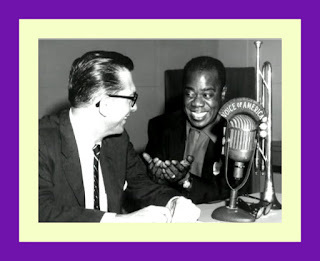 In a way, the tune is a tribute to both Ellington and his other musical hero, composer Milhaud. "I was using polytonal chords on the bridge, and I wanted to call it 'Milhaud Meets Ellington.' I was in­spired to write the melody when I took my son Christo­pher to preschool. And com­ing back, it was raining, and I had the windshield wiper on. And I started thinking as the blades were going back and forth...." And he begins to sing the melody as his arm mimics a wiper, "Bah-dum-bahdum-bah-da-ba-daaah.... When [pia­nist] Marian McPartland first heard it, she said, 'Dave, you've written the best bass line of any song.'" He still writes. "There's usually somebody wanting me to do something, and it'll be something I never thought of doing," he says, referring to such recently commissioned work as a pi­ano suite inspired by the na­ture photography of Ansel Adams and a mini-opera based on John Steinbeck's "Cannery Row." "One thing," he admits. "At my age, holding a pencil for hours a day is not so good anymore. So I had Chris do all the hard work, getting all the copies together." And he can still play, as he recently proved during a Thanksgiving weekend stint of his quartet at Man­hattan's Blue Note jazz club for his first gig since he left the hospital. His interaction with longtime partners Bobby Militello on saxophone, Mi­chael Moore on bass and Randy Jones on drums was reportedly as seamless as ever and New York Times jazz critic Nate Chinen found in Brubeck's playing "the picture of judicious clarity, its well-placed chordal accents suggesting a rifting horn section." Is it possible he could keep this up? Well, he's sure not going 120 consecutive days in different cities any­more. 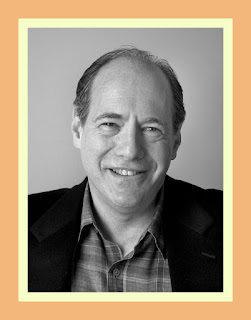 But one dividend of his hospital stay was the chance to have, in his words, "all kinds of things fixed.... And I just saw on my driver's license that there's no re­strictions on my eyes. And my ears are still pretty good. I lost a little in one ear. It rings a lot because when you sit next to the drummer and those cymbals, it gets to your ears eventually. After the ringing started, I moved to the far end." He laughs. "I should have made that move sooner." So it's all good then? He nods, stating what seems, when taking in a home, a ca­reer, a legacy and a life, alto­gether obvious. "I'm very fortunate."